Dr. Roof provides high quality exterior painting in the Atlanta area at competitive prices that will transform your home's exterior appearance and increase the curb appeal and value of your property. The Dr. Roof name is known and trusted and been in business since 1988, and has over 85,000 satisfied customers. Your exterior painting project will be managed by a professional, who will supervise and oversee the painting project from start to finish. They will be available to keep you informed on the status of the project, answer your questions and address any of your concerns. 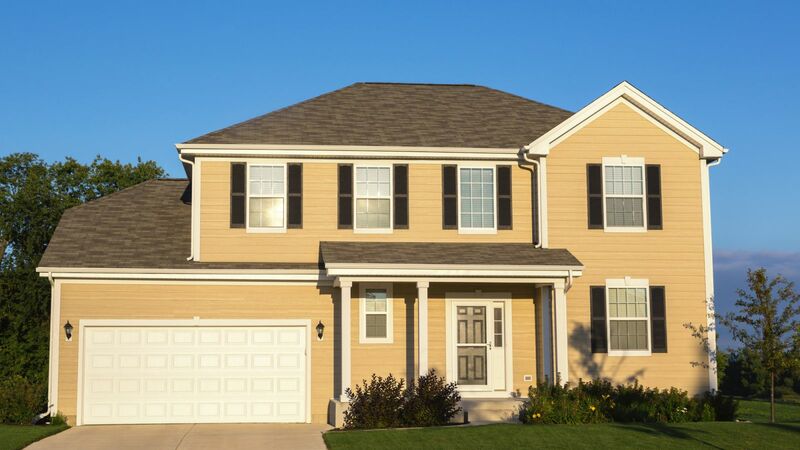 We use only the highest quality brand name exterior painting products, including Sherwin-Williams paint. We make sure your property is completely safe throughout the course of the project and that all surfaces to be painted are properly and thoroughly prepared prior to ever receiving a coat of paint. As per your proposal, areas are power washed to remove dirt and mildew, and all loose paint is scraped and removed. All woodwork is prepped, sanded and checked, and imperfections such as gauges or dents large enough to correct will be filled with the appropriate filler compound, sanded and primed before any paint is ever applied. After all loose paint has been removed, if there is any bare wood exposed it is spot primed with the correct exterior grade primer-sealer before any paint is ever applied. All gaps are caulked to prevent water intrusion. Repaired areas are primed and premium quality paint is applied to a uniform finish. Clean up is done daily, as well as at the completion of our work. All areas where preparation or painting will take place are covered with tarps, drop cloths, including walkways, shrubbery and any other areas that may be affected. Only after all preparation is complete do we apply premium grade paint for a top-quality finish. Replacement windows come in many styles, shapes, features and glass packages. Dr. Roof is pleased to carry Simonton windows for its Atlanta area customers. From their excellent thermal performance to their wide array of styles available, Simonton windows are a great choice. Simonton says that “the performance and longevity of vinyl windows compare very favorably to those of other building materials. Long-lasting beauty, low maintenance and excellent thermal efficiency ratings give vinyl windows a winning edge over other types of replacement windows. Simonton's vinyl compound is produced with extra levels of UV inhibitors to help withstand harsh weather conditions, and it is recyclable and environmentally friendly. Vinyl won't pit or peel over time and with only simple care and cleaning, windows can keep their beautiful appearance for years to come”.